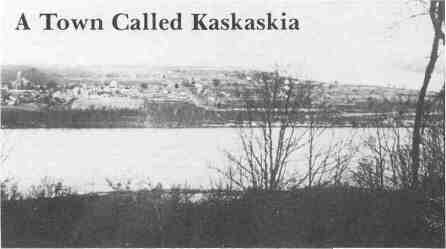 A new settlement was started along the western edge of the Illinois region in 1703 and it was called Kaskaskia. For more than a century, it was the commercial and cultural capital of Illinois. Little of the city remains today, although it was once a prosperous and thriving settlement. 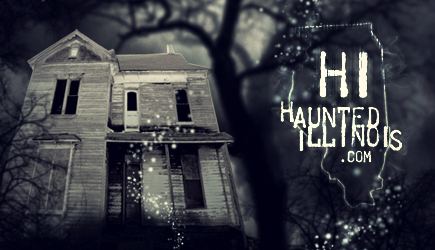 Strangely, many believe that the city was destroyed because of an old curse, leaving nothing but a scattering of houses, and ghosts, behind. Many years ago, Kaskaskia was a part of the mainland of Illinois, a small peninsula that jutted out just north of the present-day location of Chester. There still remains a portion of what was once Kaskaskia, which is accessible from Illinois today, but the peninsula is now an island, cut off from the state by a channel change in the Mississippi River that took place decades ago. Much of the area was flooded at that time and it is now largely a ghost town, consisting of a few scattered homes and a handful of residents. The remains of the town, while still considered part of Illinois, can now only be reached from Missouri. There is an ancient bridge between Ste. Genevieve and St. Mary's which crosses the Mississippi to the island. It is the only physical link this desolate spot has to either state. There are only a few scattered buildings left here, including the Kaskaskia Bell Memorial site, which indicate that the city ever existed. The vanished town was founded by the French settlers and it was once considered the "metropolis" of the Mississippi Valley and the main rendezvous point for the whole territory. It also served as a springboard for explorations to the west and in time, became the state and territorial capital of Illinois. The area grew and in 1804, Kaskaskia became a land-office town and the territorial capital in 1809. The town was made up of stone mansions and homes of typical French architecture, which according to contemporary sources, were inclined to be "shabby". Half of the inhabitants were French or French-Indian mixtures who raised cattle, horses and hogs and worked small farms. The city also boasted a post office and a number of general stores, a hat shop and three tailor shops. There was only one tavern in town and it was said to be constantly overcrowded by state officials, soldiers, adventurers and land speculators. In 1818, the state capital was moved to the new city of Vandalia, in the central part of the state. Illinois had just gained its statehood and legislators began searching for a place that was more centrally located than Kaskaskia. The move was made with some regret... but of course no one knew that the river city would be destroyed in just a few more years. About 25 years later, the waters of the Mississippi began to shift in their channel and flooding attacked the edges of Kaskaskia, destroying homes and farms. By 1881, the peninsula was completely cut off by the river and the city nearly ceased to exist. But what happened to change the fates of this once marvelous city? Was it simply nature taking its course.... or were more dire circumstances behind the demise of Kaskaskia? According to some, there was a terrible curse placed on the town many years before which predicted the city and the land around it would be destroyed and that the dead would rise from the graveyard in eternal torment. Believe it or not, these events actually came to pass! The legend of the curse dates back to 1735, when Kaskaskia was a thriving community of French settlers. There was a wealthy fur trader who lived there and who is remembered only by the name of Bernard. He lived in a luxurious stone home in the company of his daughter, Maria, a beautiful young girl who was the pride of his life. Bernard owned a trading post on the edge of the city and he frequently hired local men, both French and Indian, to work for him. Most of the Indians were hired to do the menial work, as Bernard cared little for them and considered them a "necessary evil" at best. At some point, he hired a young Indian to work for him who had been educated by French missionaries. As the two spent time together, Bernard actually began to become fond of the young man, at least until he realized that his daughter had also become fond of him. In fact, Maria and the Indian had fallen in love. When Bernard learned this, he became enraged. He immediately fired the young man and spoke to friends and other merchants, who then refused to put him to work. Eventually, the young man left town. Before he left, he promised Maria that he would return for her. Needless to say, Maria was heartbroken by her father's actions. She pretended that nothing was wrong, so as to not arouse her father's curiosity, but deep down, she secretly hoped, waited and watched for the return of her lover. Several local men attempted to court her, but while she feigned interest in their attentions, she secretly pined away for the young Indian. A year passed and one day, a group of unknown Indians visited Kaskaskia from the west. Among them was Maria's lover, wearing a disguise so that he would not be recognized by Bernard. Maria and the Indian arranged to meet in secret and then quickly fled Kaskaskia to the north. He swore that Bernard would be dead within the year and soon he and Maria would be reunited forever. Kaskaskia was damned and would be destroyed, along with all of the land around it. The altars of the churches would be destroyed and the homes along with them. Even the dead of Kaskaskia would be disturbed from their graves! The river then swallowed the Indian beneath the muddy water. He was silenced, but the curse eventually came to pass. Within the year, the prophecy began to come true. Maria became distraught over her lover's fate and refused to leave the house or eat. She soon died and rejoined her lover on the other side. Bernard became involved in a bad business deal and challenged the man whom he believed to have cheated him to a duel. Bernard was killed by the other man. And the river began to seek the Indian's revenge on Kaskaskia. The river channels shifted and flooded the peninsula over and over again until, by 1881, Kaskaskia was completely cut off from the mainland. The homes and farms were abandoned and people began to slowly leave the island. The church was moved over and over again, but it did no good. The altar was eventually destroyed in the 1973 flood. By this time, Kaskaskia had become a desolate ghost town..... but not before the Kaskaskia cemetery was washed away and the bodies of those buried there erupted to the surface and then vanished beneath the river. Cursed? Perhaps... but Kaskaskia is not forgotten. It remains today not only as a scattering of buildings, but also as one of the greatest legends of early Illinois! © Copyright 2000 by Troy Taylor. All Rights Reserved.